1913 Bath House Inventory, p. 38, no. 210, in the Red Room, in the 'showcase to the left of the fireplace'. 1914 Wernher Inventory, p. 38, no. 198. 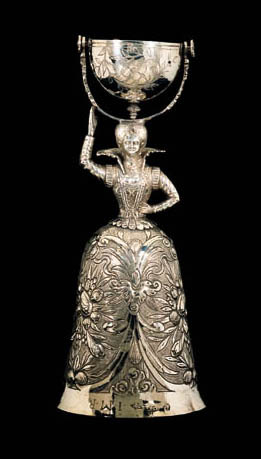 A windmill cup by Gerrit Valck, 1638, in the Schroder Collection, London, has very similar chasing to the bowl (T. Schroder, The Art of the European Goldsmith: Silver from the Schroder Collection, New York, 1983, app. no. 13).